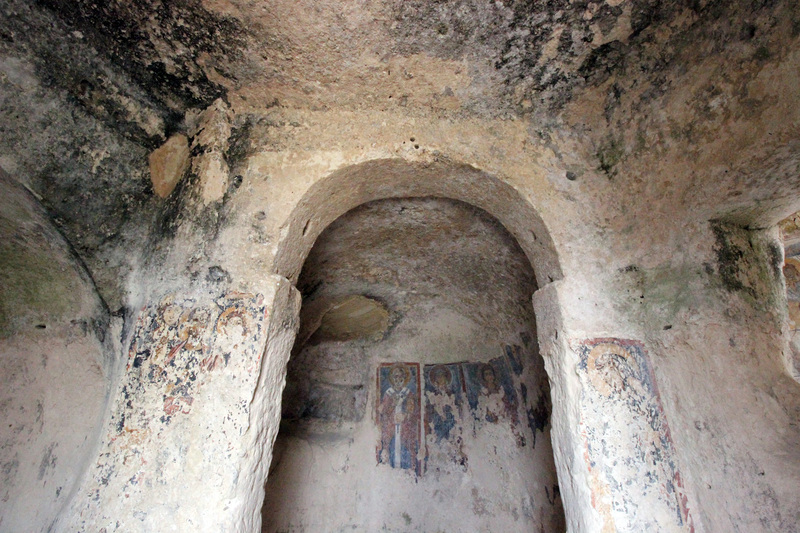 The crypt, accessible via a small staircase off the passageway that connects the Monastery to the church of Madonna delle Virtù, has an Eastern orientation, with typical articulations of Byzantine liturgy: a single nave for the faithful, with an iconostasis that separates the part reserved for the clergy from the commoners, with two aisles ending in presbyterial apses. 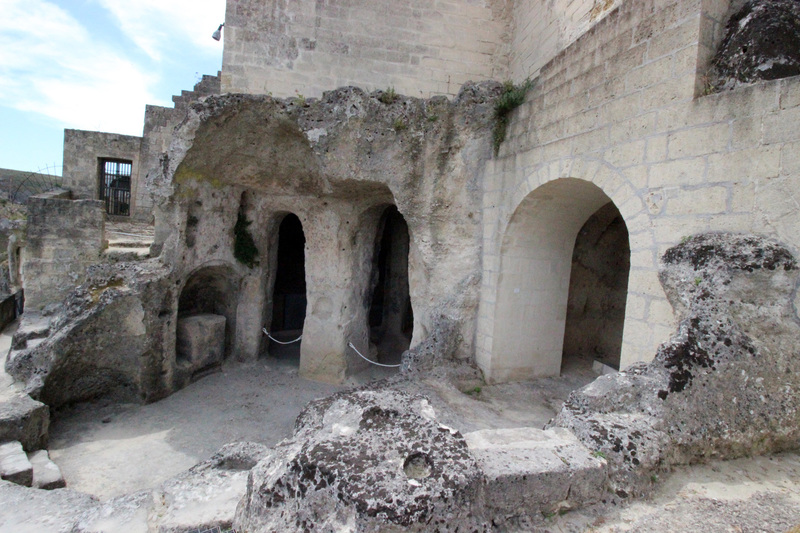 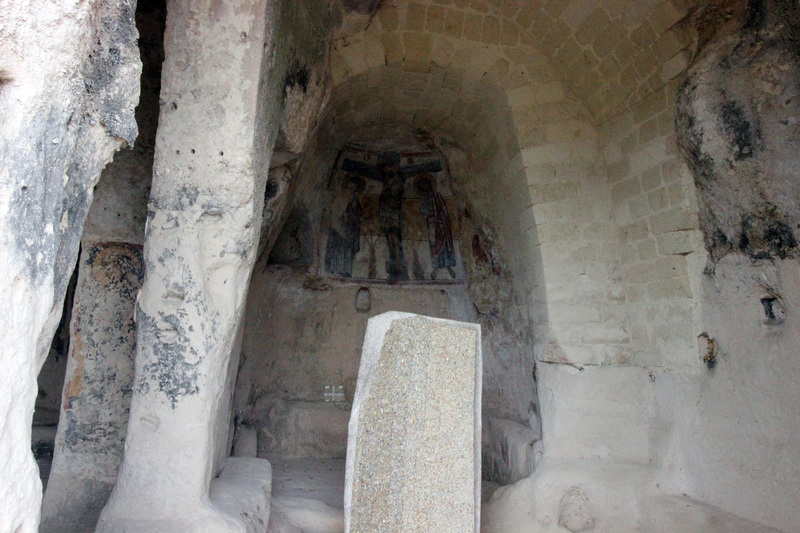 The ambo, carved out of the adjoining rock on the left part of what remains of the church, is still visible. 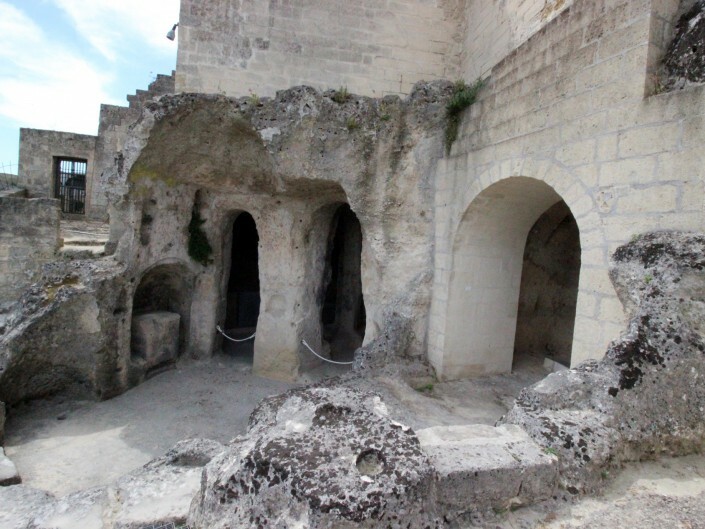 In fact, in the 18th century, the vault of the church collapsed, irreparably damaging the original layout of the structure. In addition, there are the open graves along the floor of the right aisle and on the plateau above, which demonstrate the use of this space as a cemetery in the Middle Ages. 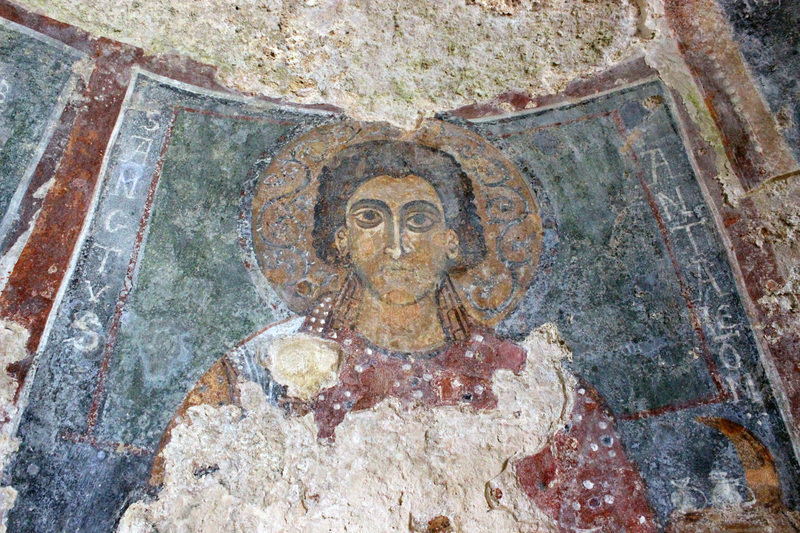 The area occupied by the church of San Nicola dei Greci is of considerable importance also for the significant archaeological findings that were discovered there. 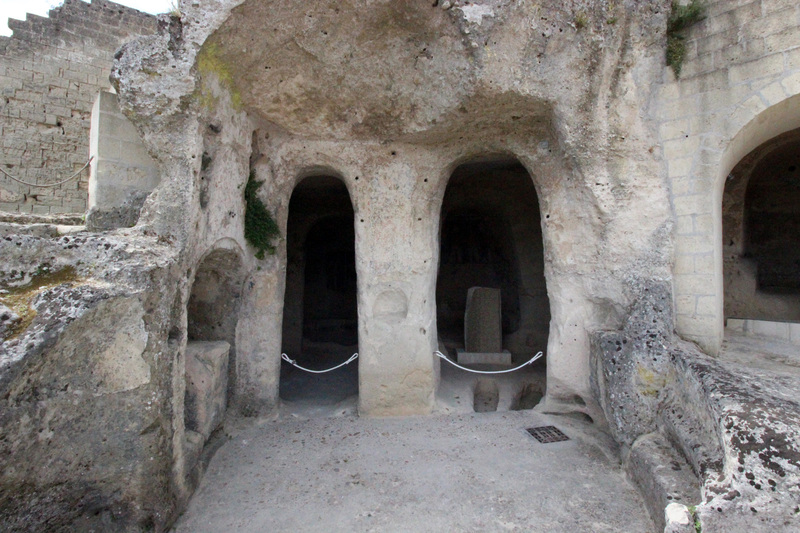 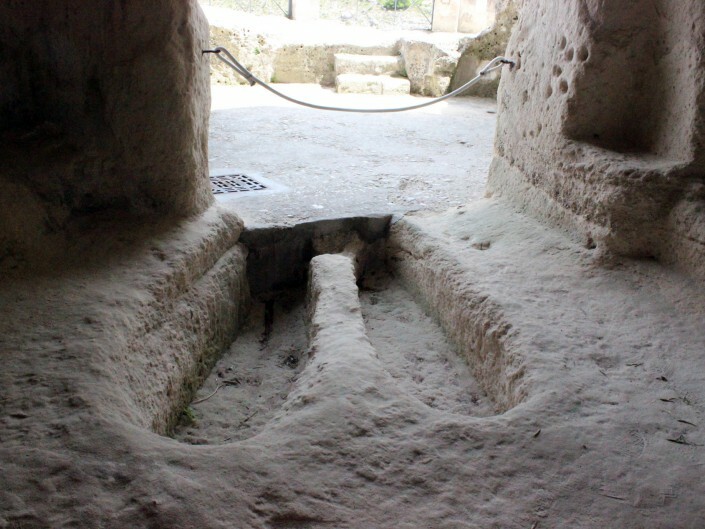 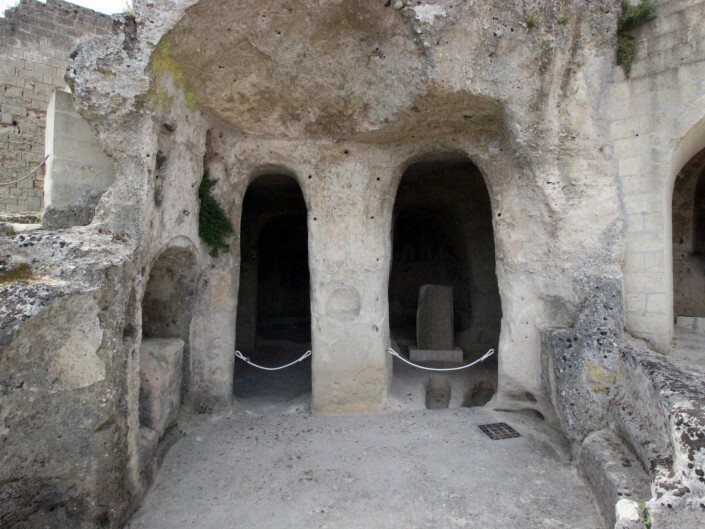 These latter serve as an important testimony to the origins of the town – findings from the Iron Age and archaic period, as well as other eras, confirms a seamless timeline, in which the Civita has always been inhabited. 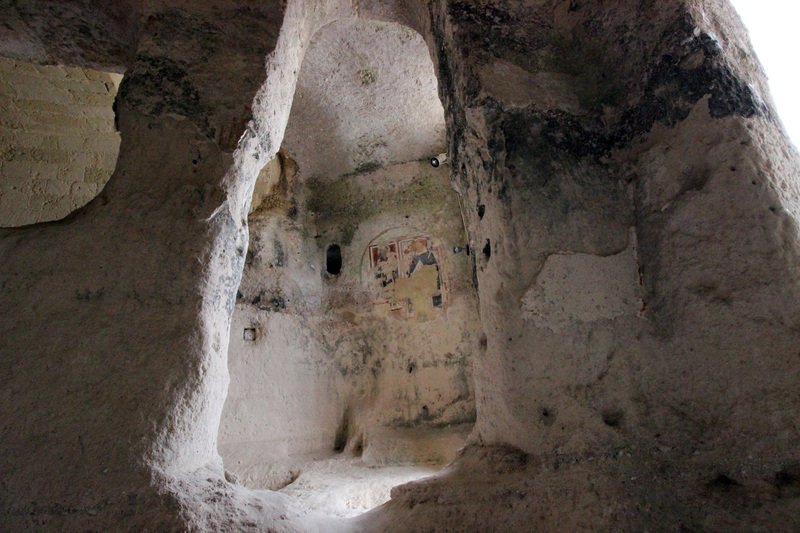 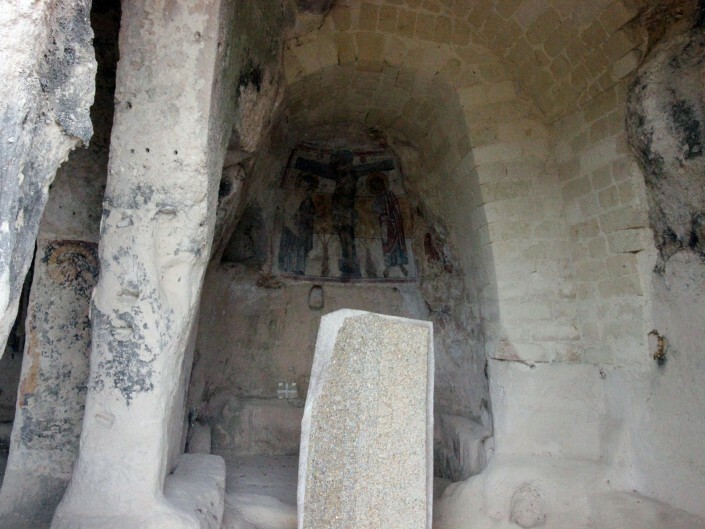 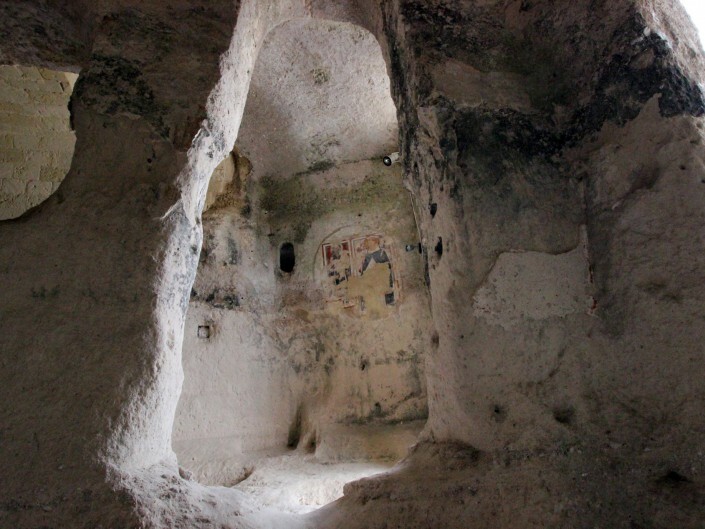 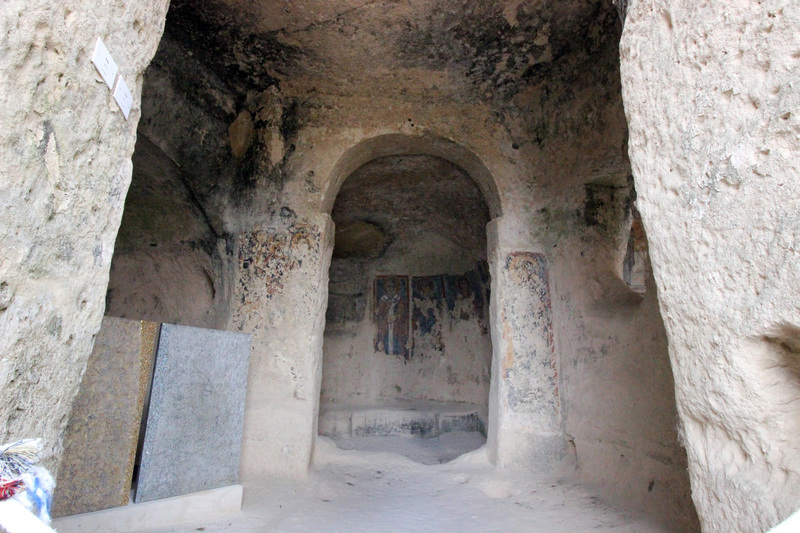 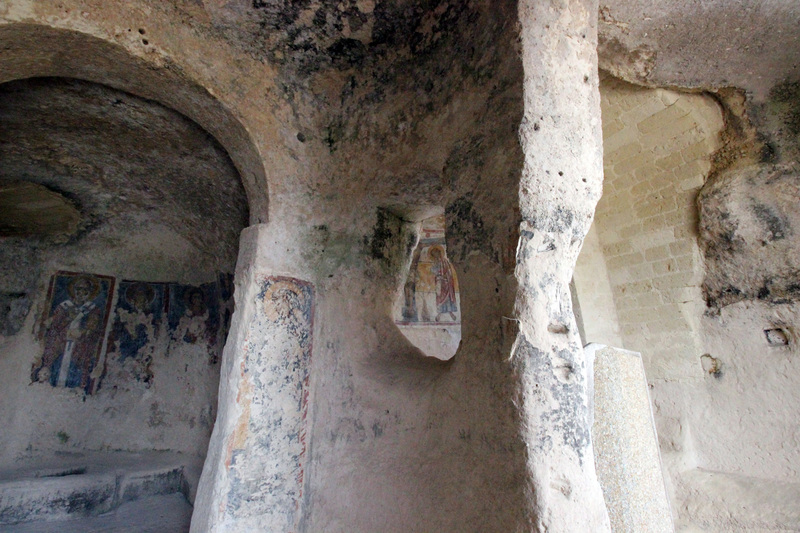 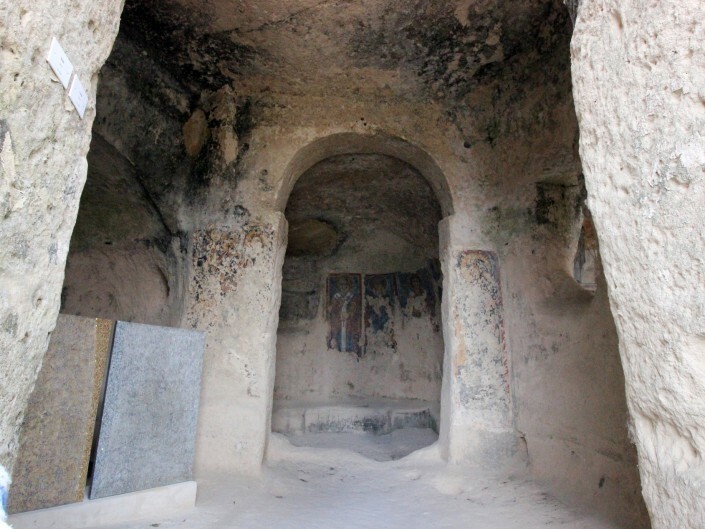 The crypt is especially significant due to the survival of some important frescoes. 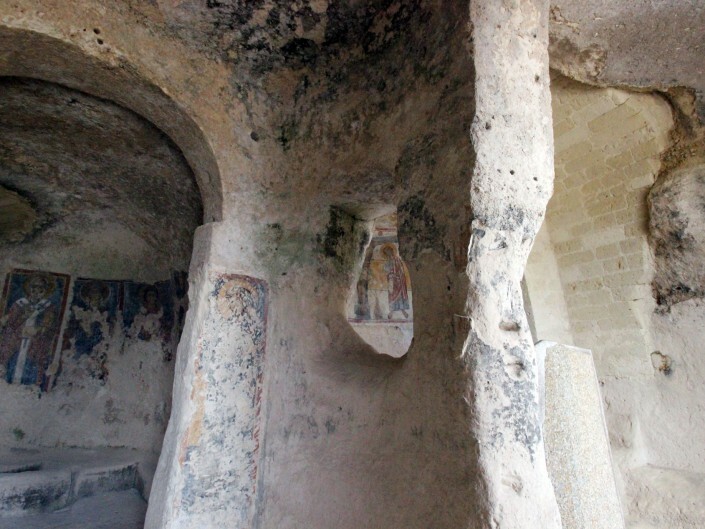 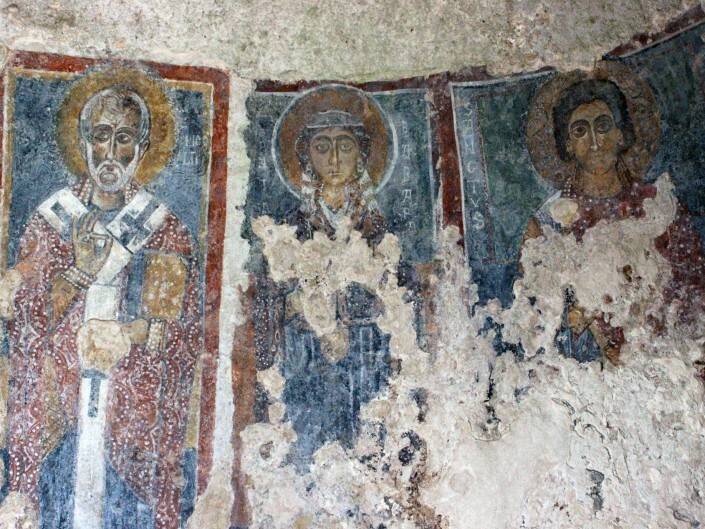 Despite the ravages of time and the continuous erosion of the cliffs upon which the church is perched, these frescoes are still present and remain a witness to the succession of different eras, tastes and cultures over time. 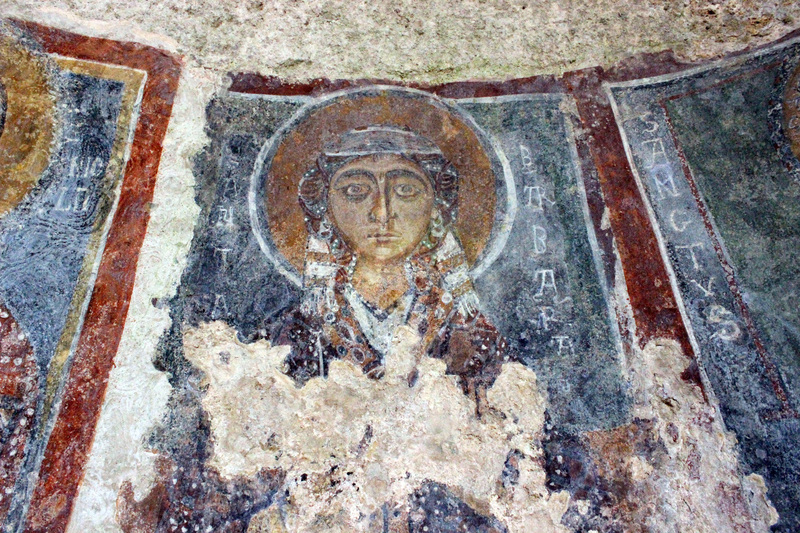 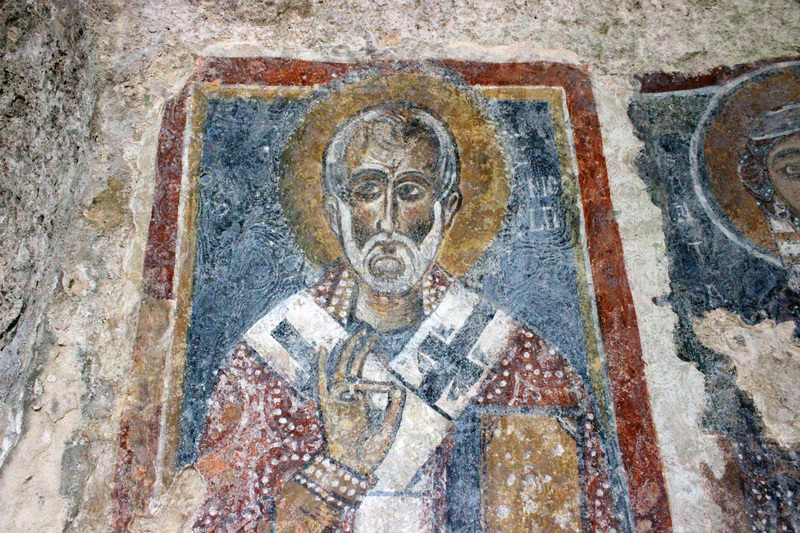 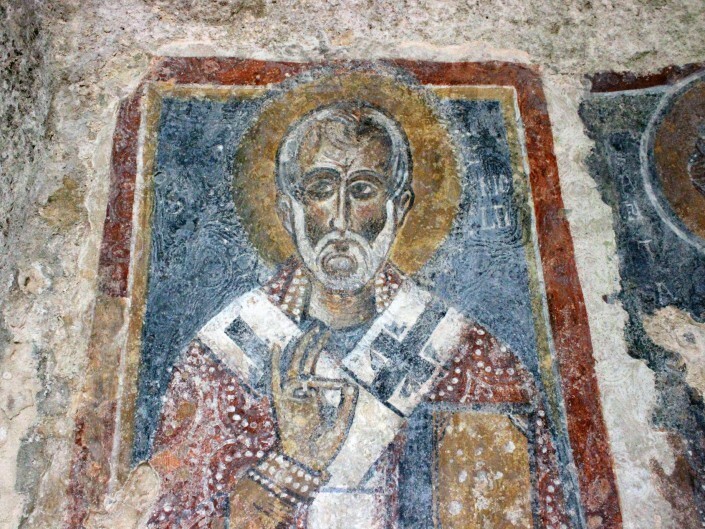 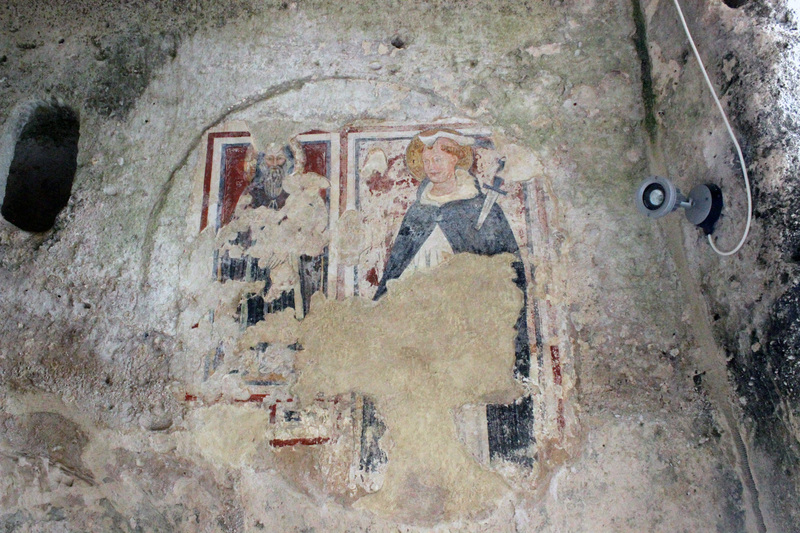 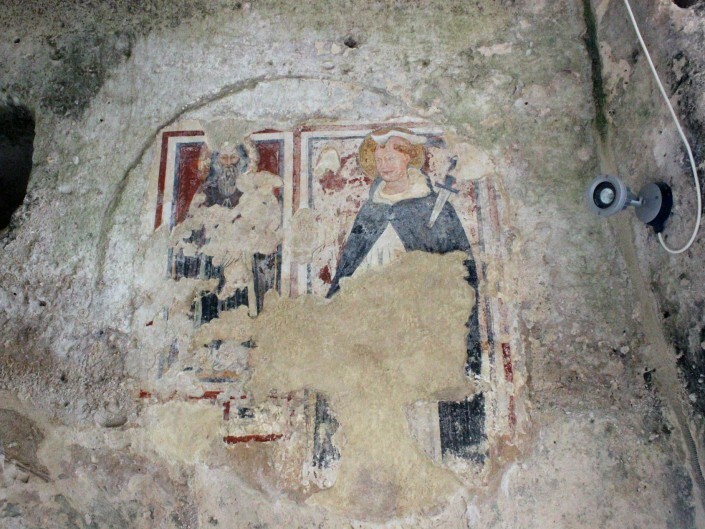 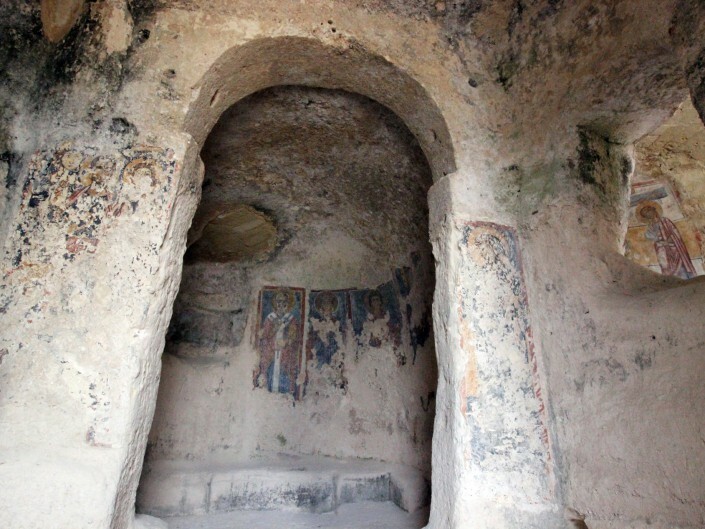 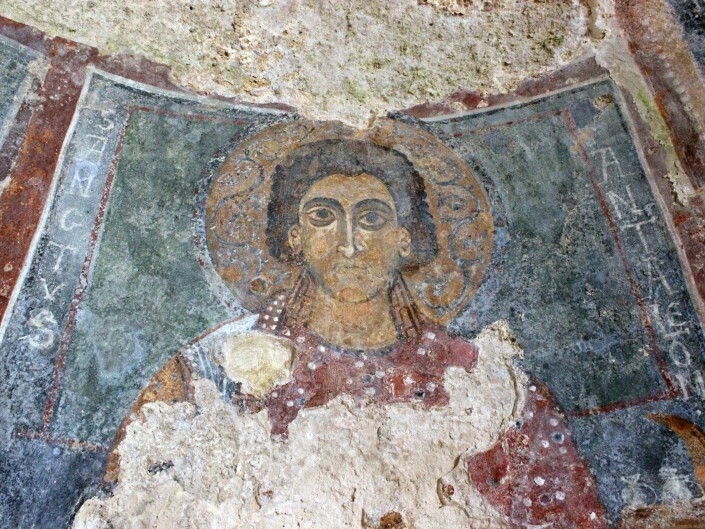 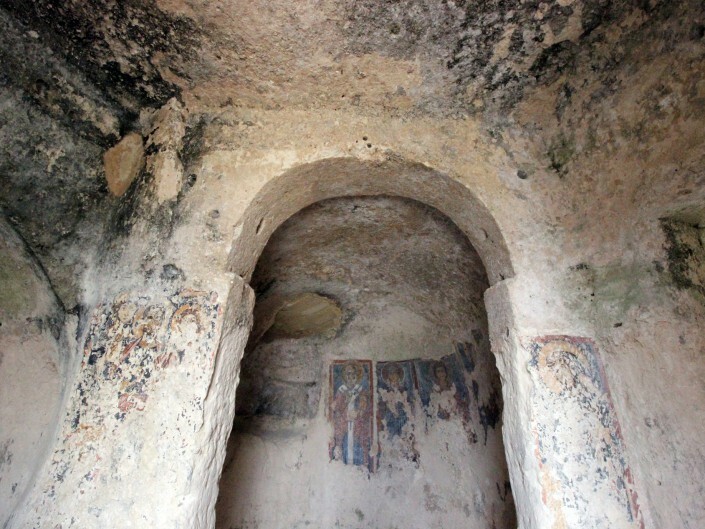 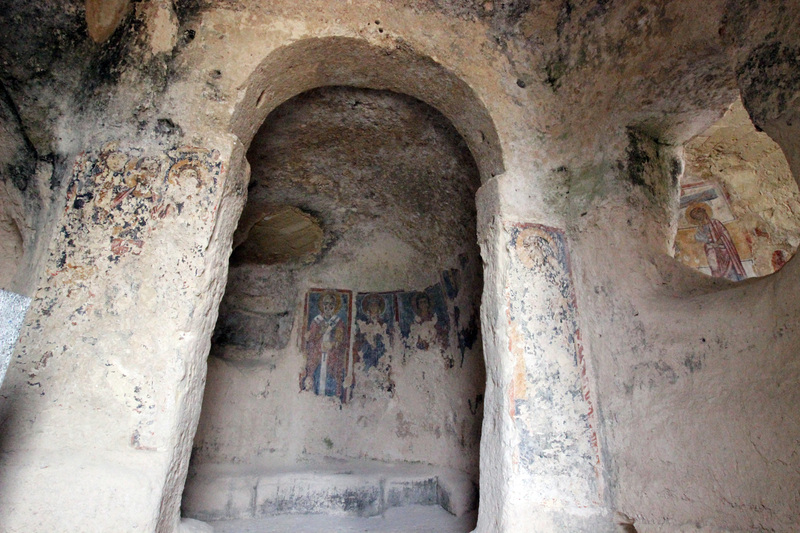 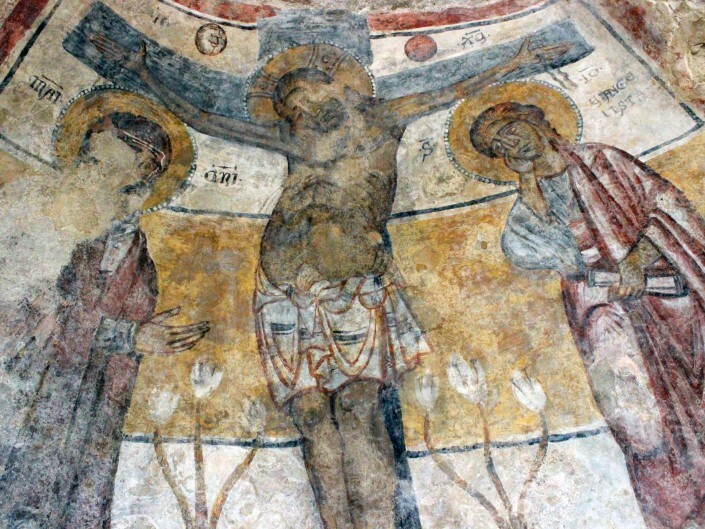 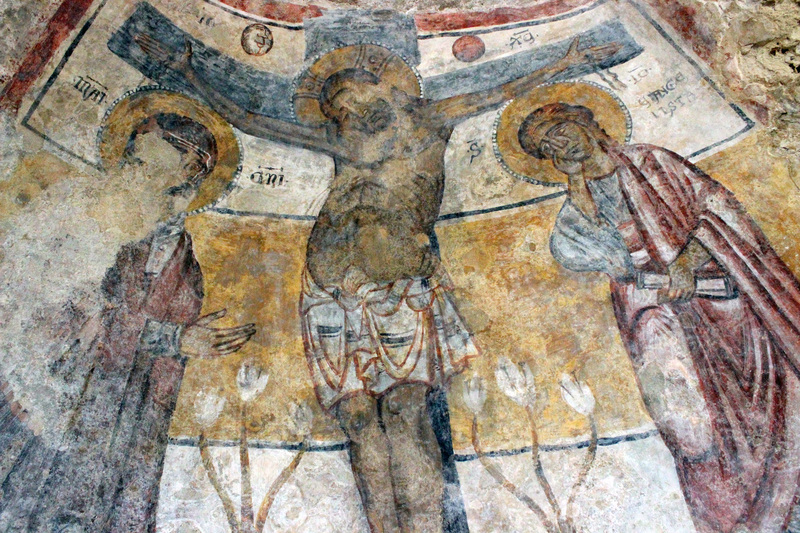 The Byzantine character of the crypt is confirmed by the 11th – 12th century frescoes on the church’s walls, which are linked to the Byzantine tradition. 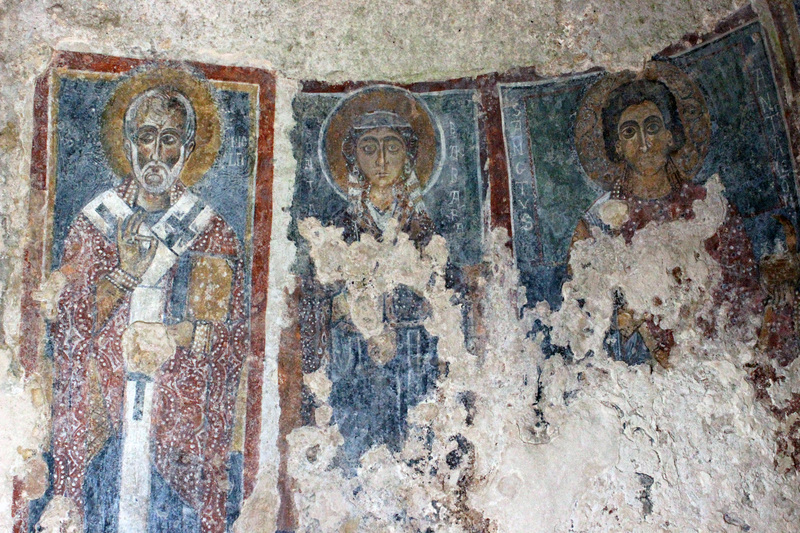 Among the most important and best preserved are the “triptych” frescoes of St. Nicholas, St. Barbara and St. Pantaleone in the left apse and dating back to the 13th century, and the Crucifixion with the Virgin Mary and St. John the Evangelist, from the 14th century.